I absolutely LOVED A Matter of Fate and A Matter of Heart. They were amazing, original and unique. I’m totally Team Kellan, all the way! The end of A Matter of Heart was just… GAH!!!!! And I need, need this book ASAP!!! 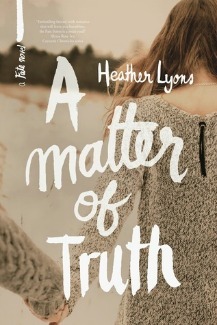 A Matter of Truth will be released on November 5th, 2013. I don’t have a pre-order link at the moment, but you can check it out on Goodreads!